When clearing out the greenhouse in the Autumn it is interesting to look at what has been happening inside the Air-Pot containers. The tomato plants did well above ground and it is clear that this is due to the excellent root system which has developed. 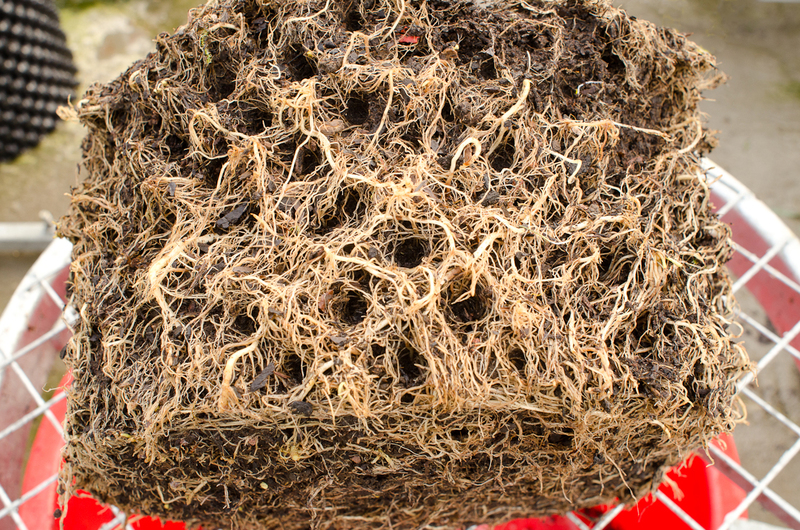 The roots have filled up the entire volume of the compost with no circling.The air-pruning of root tips in the cones (from which they cannot escape) forces the plant to continually make more roots from nearer the base of the plant. 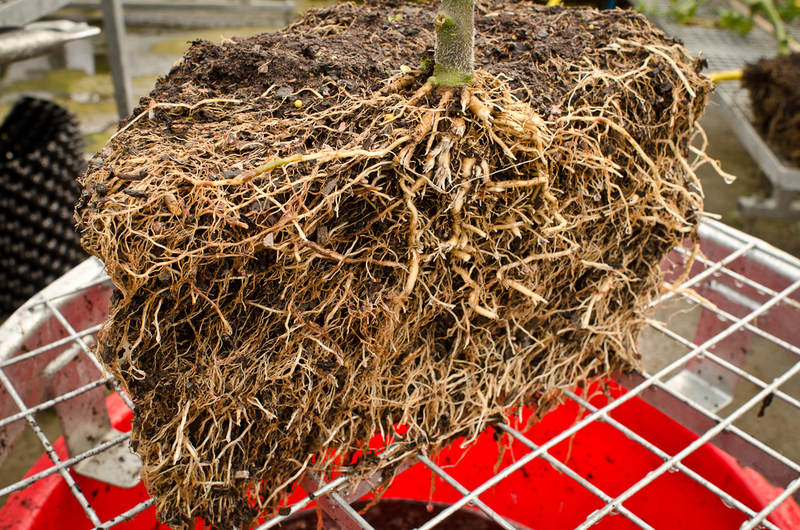 More roots which can take up more water and nutrients. We washed some of the earth away from the rootball to reveal these super-roots.